If you follow me on Instagram you will have seen my sneak peeks of a t-shirt I have designed for a newly launched brand right here in Glasgow. 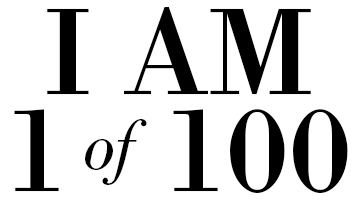 1 of 100 is a new brand created by a former work colleague of mine, Richard Hume and his friend Xander. 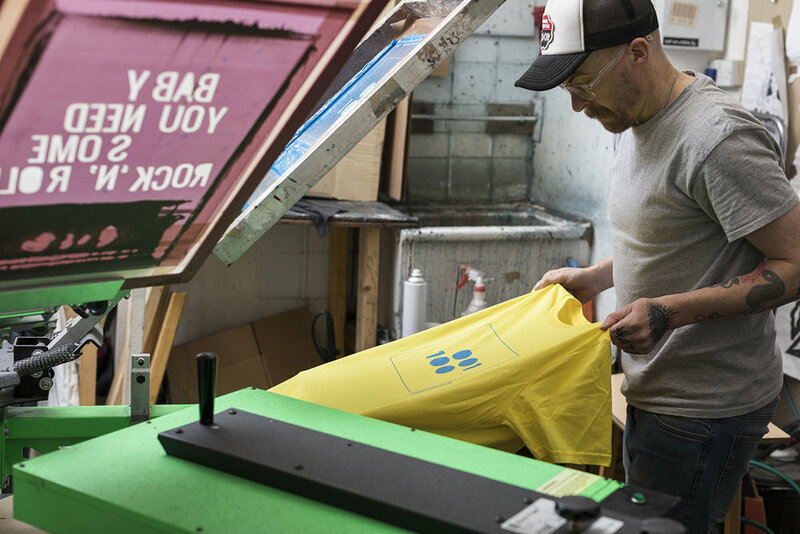 They started the brand as a unique way to bring together creatives from lots of different disciplines, from DJ's and producers to designers and illustrators. They asked a variety of creatives to design a t-shirt and I was one of the people they asked for the first drop. 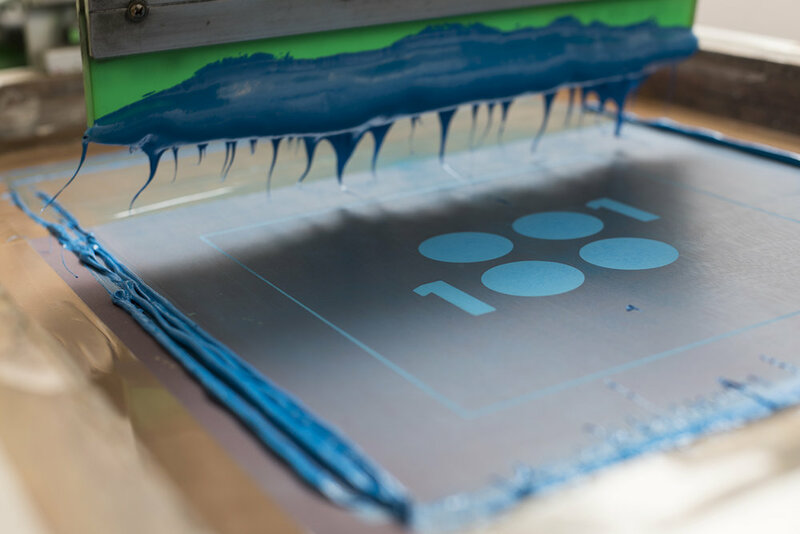 Each individually numbered t-shirt (you get to choose which number you want on your tee) will be hand-printed in a limited run of 100 and feature a hand-stitched walnut button. And once they're gone, they're gone. They launched today with the first 3 designs by myself, record label Darkroom Dubs and musicians The Golden Filter. Designing tees is a surprisingly hard thing to do. I have designed quite a few now for various brands and labels and it never gets any easier. However when 1 of 100 asked me, I jumped at the chance. The inspiration for this t-shirt is my design hero when I was studying in design school - David Carson. His creative work gave me so much hope in school that design wasn't all about adhering to newspaper grids, despite what our lecturers would have us believe. Blah Blah Blah and Raygun became my design bibles and still influence and inspire me even now. Carson fearlessly fucked with typography and broke all the rules on readability. He showed us that great design is as much an emotional experience as an informative one. 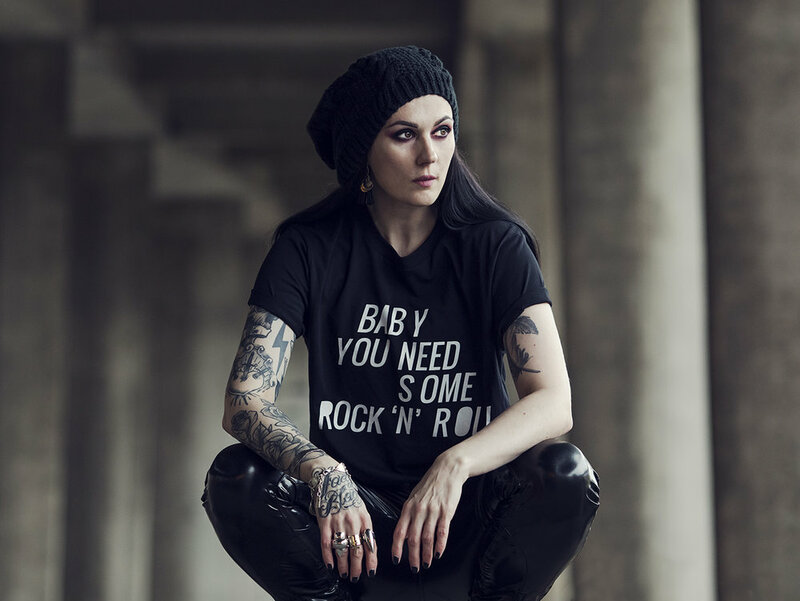 Rock 'n' roll is an attitude and Carson's approach to design embodies the rock 'n' roll spirit to me. He was never scared to break the rules and go against the grain so I wanted my design to be a nod to Carson as well as my own love of music. 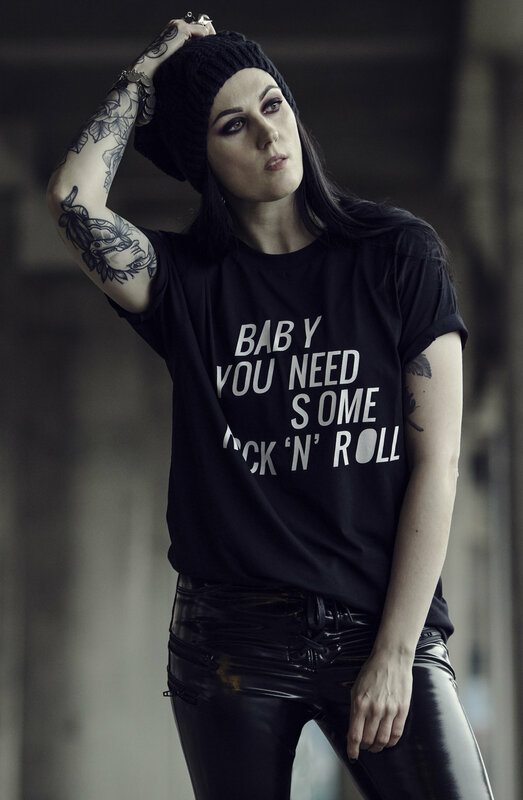 So with a hint of Carson-esque typography, 'BABY, YOU NEED SOME ROCK 'N' ROLL' was born. And baby, you really do.